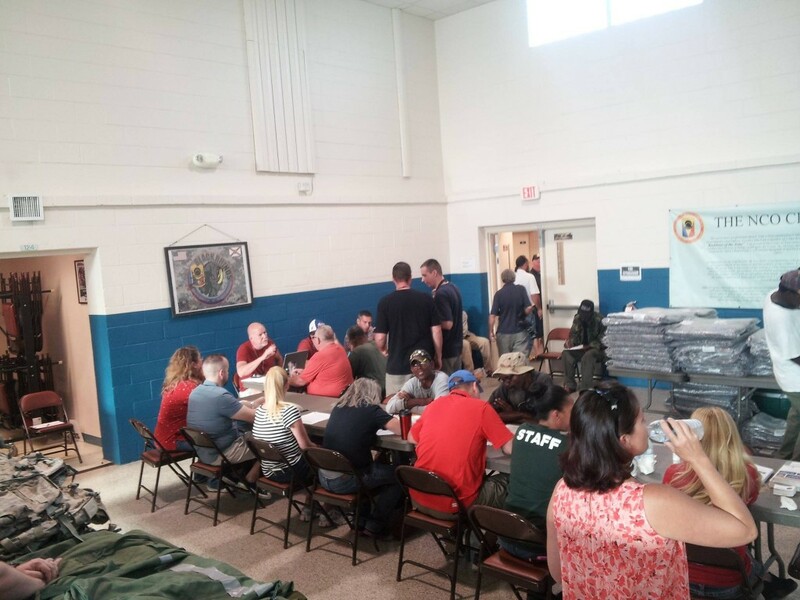 Since 1995 the VMC has supported a Stand Down to aid homeless and struggling veterans in Brevard County. The Annual Stand Down is a chance for veterans and friends of veterans to show those in dire straits just how much we care and remember their service in better times for them. The notion of Stand Down came from combat Marine and Army Infantry Units Ion Vietnam who saw days and days of battle action and were told to move to the rear for a brief “Stand Down” from combat to get a shower, eat some hot chow, clean weapons, etc. They were not on leave and life was still tough but they got help as needed from haircuts to medical treatment and knew others cared before they headed back to the daily battles they faced — just like homeless veterans do today. Contact the Center on 321-453-1776 to learn more and to volunteer. In 2016 the Stand Down was held at the Cocoa Armory on Fisk Street near Route 520 in Cocoa. About 200 veterans in need attended during the 0730 – 1400 hours’ event on Saturday, March 26. The next Stand Down will be held on January 26, 2019 at the Cocoa Armory from 0700 – 1500. Below is 2019 flier which outlines some of the services provided to needy veterans at the Stand Down. It is for information only.